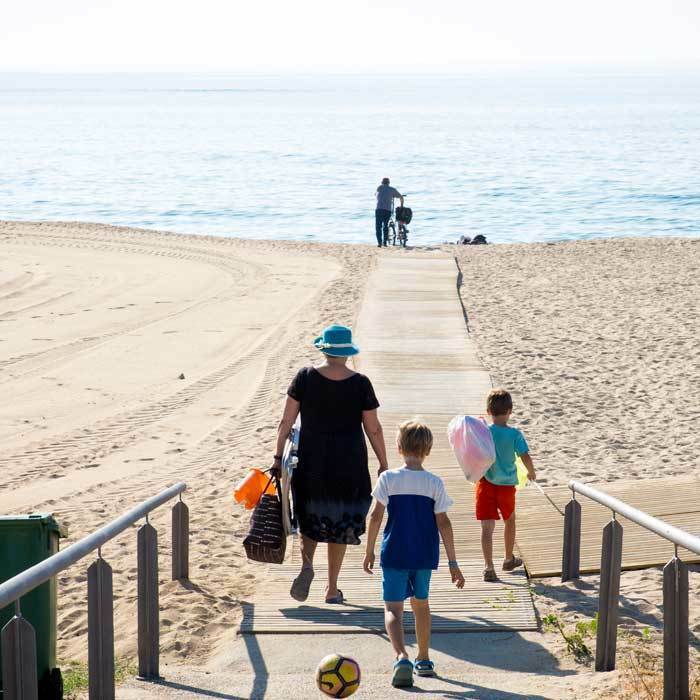 Mataró boasts more than 2 kilometres of beaches, where you can enjoy the sunshine and take part in all kinds of water activities all year round, and a seafront promenade, where you can go for a quiet walk, enjoy a delicious meal or take part in sports activities. Come and explore our beaches with family or friends. You will find all the facilities you need to make your experience unforgettable. If you are looking for a more romantic escape for two, come and discover our quieter, more intimate coastal spots. All of this is complemented by a first-class port with plenty of food and night-time entertainment options. Meanwhile, any keen scuba divers should head to one of the biggest attractions on the Mataró coast: Alguer de Mataró, a vast area of Mediterranean Tapeweed of huge importance within the local marine ecosystem.